When i try to change the quota on mailbox user have got this message error but the quota is changed corretly in backend exchange server and the mailboxplan assigned is not changed. Error updating mailbox general settings. See audit log for more details. 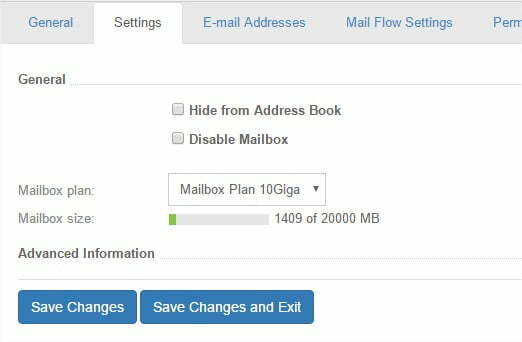 After the upgrade WSP 2.1 to SOLIDCP i’m unable to change modify or delete a Global Mailbox plan. everything working well except this 2 error. This error is solved, it was caused by the “compliance management” in Exchange 2013, after a little reboot of the server in trouble all the situation returned to normal. and when i apply a mailboxplan to a mailbox not more error message and the display is correct.